The Rebel Sweetheart. 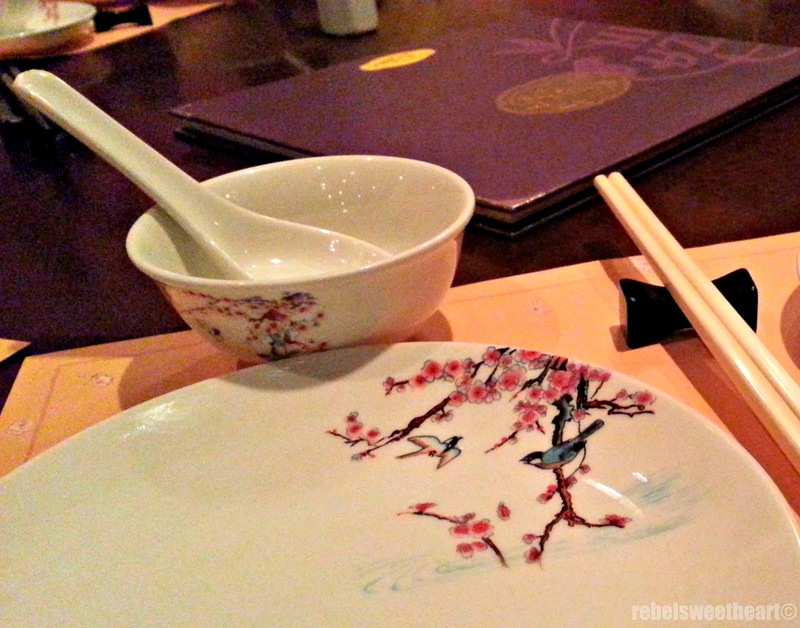 : Hong Kong Holiday | Dinner at Plaza Inn. Aside from the usual fun rides and attractions, Hong Kong Disneyland is also home to several restaurants and snack shops that serve Western food, traditional Chinese cuisine, and other Asian dishes. Out of all these dining places, my most favorite would have to be the Plaza Inn. Located inside the theme park along Main Street USA, the restaurant looks like a traditional European home on the outside. The inside, however, is a totally different story. Totally reminds me of Bruce Lee, and all those Hong Kong box office movies. The interiors, the fixtures, the lighting... heck, even the background music inside the restaurant screams 'Asian'. The atmosphere totally reminds me of Bruce Lee, and all those Hong Kong box office movies. (Think Jackie Chan, Jet Li, and the like.) Not surprising, since this restaurant is actually inspired by the movie 'Mulan'. Of course, the utensils and cutlery have the 'Asian' feel, too. There's nothing more 'Oriental' than cherry blossoms, and almost all of the dinnerware in this restaurant were adorned with it. Now, let's move on to our dinner. For starters, we had Crab Meat and Buddha's Delight Soup. Buddha's delight is a kind of edible mushroom commonly used in Cantonese cuisine. This soup is very flavorful, with a consistency lighter than most Chinese soups. For the main course, we had this Roast Meat Platter composed of roast chicken, roast beef, and roast duck. All three were cooked to perfection. The meat was (were) juicy and tender, and seasoned just right. It's the perfect viand to that bowl of steamed rice. For drinks, we were served a pot of tea. I reckon this is the Chrysanthemum Honey with Lemon, a traditional Chinese beverage. For someone who hardly drinks tea (save for the usual iced tea at fast food chains and restaurants), I find this beverage quite nice and refreshing. And it sure is nice to try something different from the usual coffee and carbonated drinks. 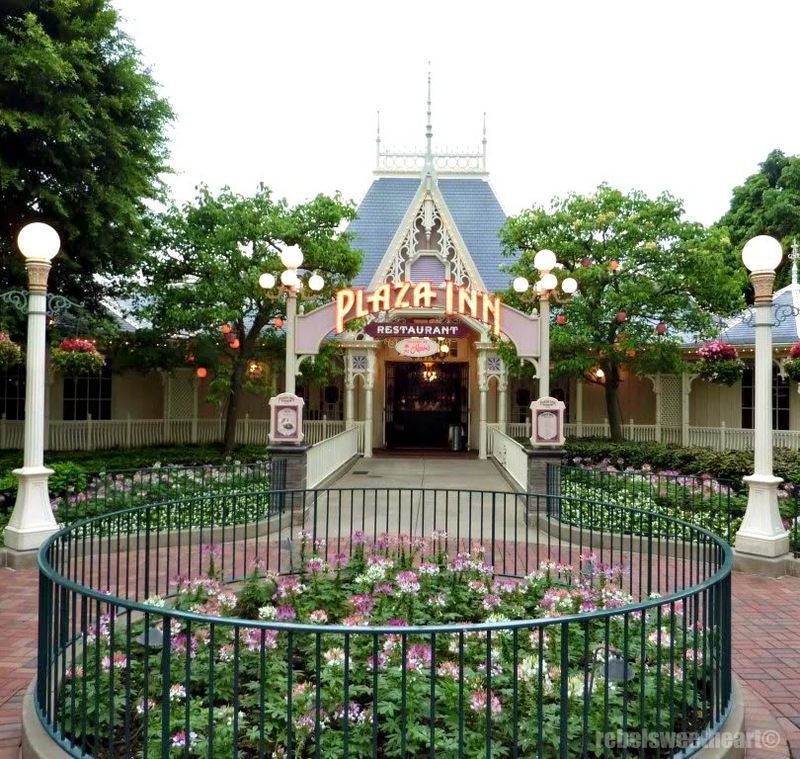 All in all, dining at the Plaza Inn was quite a memorable experience. 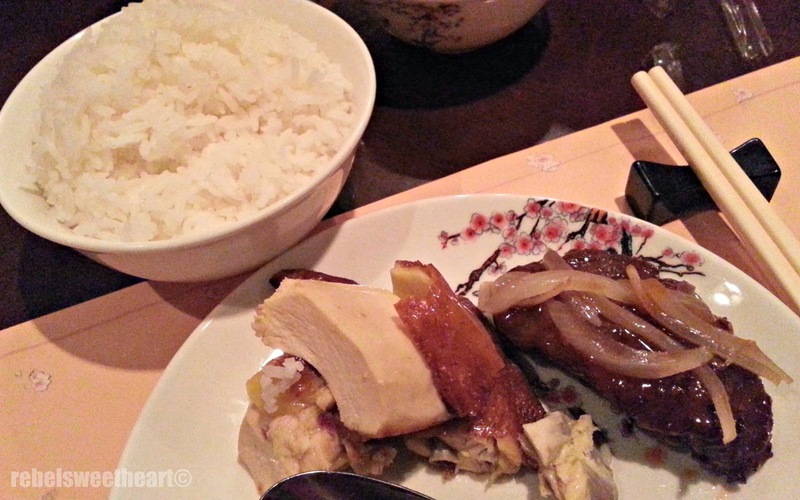 Although not the most budget-friendly restaurant inside the theme park, this restaurant gives the value for money in terms of taste, presentation, service, and ambiance. 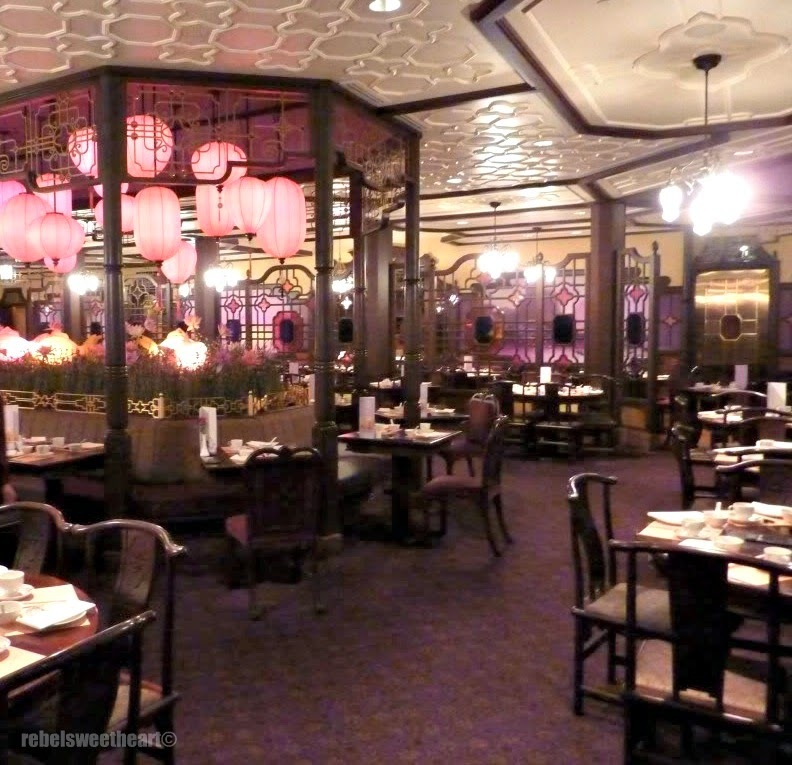 If you're planning to dine at this restaurant when you visit Hong Kong Disneyland, I suggest you arrive around 5 or 6 pm. It gets a little crazy during dinner time at this restaurant, as most people tend to linger in this area at night. You see, the Main Street - where the Plaza Inn is located - offers the best view for the fireworks display, which happens every night at 9pm. 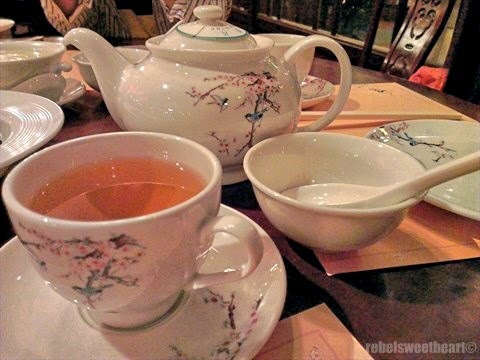 I won't be going to Disneyland but would love to try that Chrysanthemum Honey with Lemon tea you mentioned. I am a tea drinker (and a coffee drinker). My only problem would be I might start sneezing from it--I am allergic to flowers!! You should see what Rose Hip tea does to me! I've been to HK Disneyland thrice but haven't dined there. I was busy strolling and eating street foods kasi. I prefer eating at HK restos rather than sa Disneyland kasi. Oh nice look outside and inside! I love dining at a very nice ambiance. Everything looks fantastic. The tea set-up is pretty too! That looks like a really neat to go have dinner at! Oh how I wish I always had enough money to eat at all if not most of the restaurants when at a Disney theme park, plus still have enough left for buying merchandise! The place you ate at looks great. Love me some Chinese food! I love the cherry blossoms design of the dinnerware. I've been to Hong Kong several times already but I never knew about Plaza Inn. 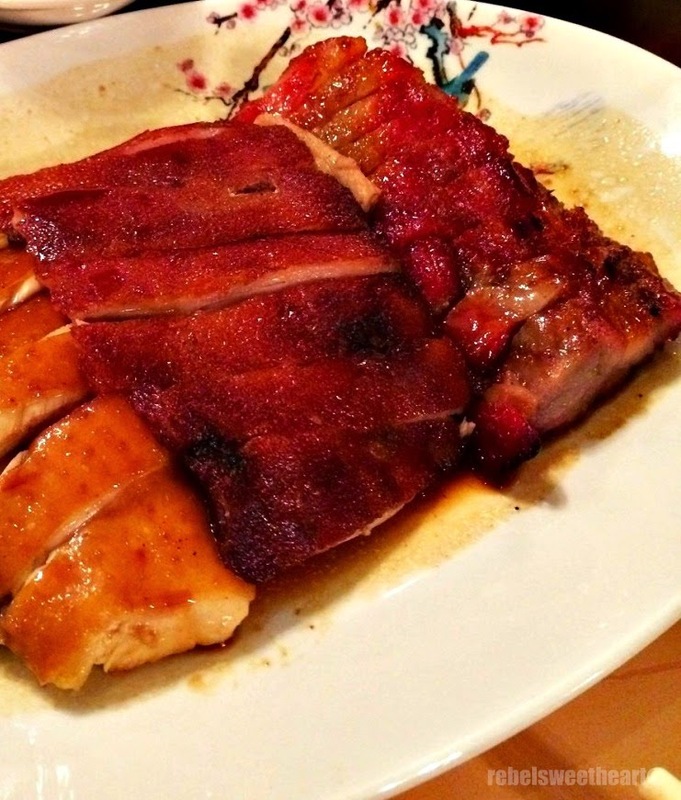 I'll list this down as a must try the next time I visit Hong Kong. Did you know that because of your post(saliva dripping, ewww, ha ha ha!) I couldn't wait to try the different dishes at Plaza Inn. What a fun trip going to HK Disney would be. Looks beautiful! Everything looks so good! Thanks for sharing! Sadly, I have no plans to visit Hong Kong but I would love to! The restaurant is beautiful and sounds like it would be a great place to check out if i were to visit! I visited Plaza Inn not to eat but to stay warm while I was there. Disneyland is really perfect for kids and kids at heart noh?